"To 21 Savage and every other Black immigrant who is criminalized, targeted, and detained in this country, especially to those who are queer, trans, Muslim, and/or poor: We see you, we love you, and we are fighting for you," said Jonathan Jayes-Green, co-founder and executive director of the UndocuBlack Network. 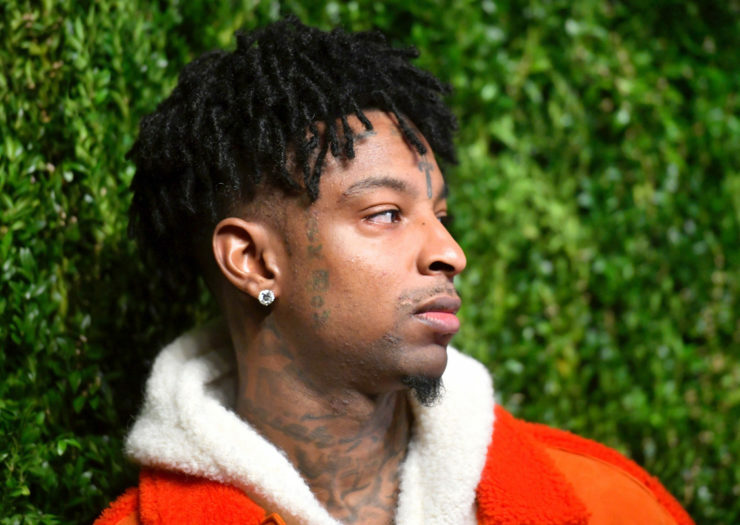 On February 3, federal immigration officials detained rapper and father She’yaa Bin Abraham-Joseph, also known as 21 Savage, and the internet didn’t know what to make of it. Entertainment websites mindlessly parroted Immigration and Customs Enforcement (ICE) talking points about the rapper’s supposed criminality. Online observers—including other celebrities—callously indulged in memes intended to make fun of the fact that ICE had purportedly revealed him to be a “United Kingdom national.” It also became clear that a lot of people didn’t know Black immigrants existed. Immigration law is admittedly complicated, but like many immigrants’ stories, 21 Savage’s is further complicated by colonization. Immigrant rights activist Ireri Lora Cabrera explained to Rewire.News that Abraham-Joseph had a British passport not because he’s “from the UK,” but because he is from Dominica, which was a British colony. “Absent from many of the responses to the rapper’s detainment was a nuanced understanding of how dangerous the process of immigration can be, how mandatory assimilation can feel upon arrival in America, and how easily black humanity is revoked,” Giorgis wrote. The 26-year-old artist grew up in Atlanta but came to the United States as a child. He became undocumented when he overstayed his visa. This is the most common way that people become undocumented in the United States—not by crossing the border without authorization, as the Trump administration would have you believe. Abraham-Joseph’s story is also the story of many “Dreamers,” but few have made this connection. Even fewer are treating the father with the same level of empathy and understanding they’ve shown to young, undocumented non-Black Latinos. To unpack the complexities of this story, Rewire.News spoke via email with the UndocuBlack Network’s co-founder and executive director Jonathan Jayes-Green, and communications coordinator Denea Joseph. UndocuBlack is a multigenerational network of currently and formerly undocumented Black people created, in part, because of the erasure of Black immigrants that happens in organizing spaces. Here, Jayes-Green and Joseph talk to us about the othering of Black people, ICE’s tactics, and the “crimmigration” system. Rewire.News: As the news surrounding 21 Savage’s detainment unfolded, what stood out to you about the coverage you saw? Jonathan Jayes-Green: A few things stand out… I was really disappointed to see people making jokes and memes as soon as the news broke. There is nothing funny about being detained, targeted, and imprisoned. I know we as a society don’t always consider the humanity of celebrities, especially of Black ones, but a line was crossed. The media does seem to be shifting away from humor and turning to outrage, as people recognize the violence of detention and deportation. I am glad to see that. What was especially upsetting to me was seeing how folks were quick to use his immigrant story to deny his ties to Atlanta. He wasn’t born there, but he was raised there. She’yaa is someone who has built his life and identity in Atlanta; he has given so much to it. To deny that because he was born elsewhere is wrong. It particularly reminds me of the ways that Black folks will always be “othered” … in a country built on the genocide of indigenous people and the enslavement of Africans. Denea Joseph: It was upsetting to see ICE officials speaking to CNN and other media outlets regarding She’yaa’s detainment. ICE utilizing the media is a tactic—it’s how ICE will control public opinion around She’yaa’s case. It was extremely disheartening to see that people are more upset at She’yaa for not revealing his immigration status publicly than at ICE for wrongfully detaining him. His refusal to disclose his status was simply an act of self-preservation, a strategy that’s employed by the majority of undocumented immigrants fearful of this exact outcome. Rewire.News: 21 Savage’s story is not unlike those of the “Dreamers,” but you don’t see many mainstream immigrant rights organizations voicing their support for him in the same way. However, Black-led organizations like Black Lives Matter, UndocuBlack, Color of Change, and the Black Alliance for Just Immigration (BAJI) did partner for a petition. What do you think is at play here, possibly silencing these other groups? JGV: It’s no secret that the immigrants’ rights movement has had a deeply entrenched history of anti-Blackness and exceptionalism in this country. It’s the reason why UndocuBlack and other Black migrant organizing spaces exist. In so many ways, She’yaa’s detainment has been a textbook example of what happens to Black immigrants in this country. I believe he was targeted for a host of reasons, even including the way he openly spoke out about family separation at the border. ICE also lied about why he was detained and used a mantle of criminality to justify this detainment. He has also been denied bond, which often happens to Black immigrants or their bond is set high. DJ: Look no further than our organization’s name and existence for your answer. Our movement is informed by directly impacted people—current and formerly undocumented Black immigrants. While our movement grows, our fight for inclusion within the larger immigrant rights movement is a daily one. Rewire.News: ICE claims that Abraham-Johnson had a criminal record, though his attorney recently made it clear that ICE detained him “based upon incorrect information about prior criminal charges” and that he was actually the victim of a crime and has a pending U-visa application. Do you see this presumed criminality a lot in the work you do? JGV: According to a Black Alliance for Just Immigration report, 76 percent of Black immigrants are deported on criminal grounds compared to 46 percent for all immigrants. The fact that ICE is using criminality to create a narrative in the media and to detain She’yaa is not a coincidence. In so many ways, She’yaa’s case reminds me of Papa Doumbia, a beloved community leader in Detroit who unfortunately was deported to the Ivory Coast last year. ICE again used criminality to justify his removal from his community and demonize him to the media and the public. Because of his long ties to the local community, we were able to work with badass local community leaders, including his daughters, community organizations, and the community from his mosque, to delay his deportation. DJ: Immigration and criminal justice are one and the same thing. In both, Black people are overrepresented. While Black non-citizens only make 7 percent of the immigrant population in this country, we make up over 20 percent of immigrants facing deportation on criminal charges. When you consider the over-sentencing, made-up charges, and forced plea deals that Black people face within the carceral state, it is obvious that it is our Blackness that is being targeted and criminalized. Rewire.News: Immigration is often framed as a “Latino issue,” which is part of the reason why so many people on social media legitimately seemed confused that Abraham-Johnson could be a Black immigrant. 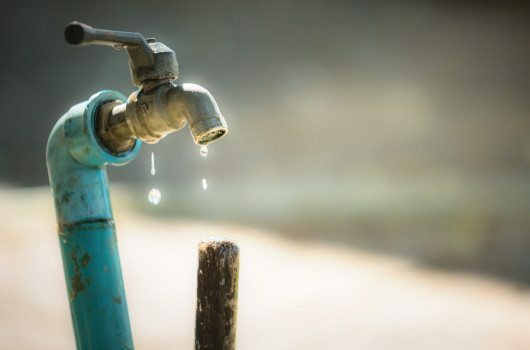 Why is this kind of erasure harmful? JGV: Because it allows the state space to exert violence in our communities without accountability. For instance, in Columbus, Ohio, ICE is disappearing Black Mauritanians with impunity. For the past year, Black Mauritanians, who face persecution if deported, have been snatched from their homes and workplaces and imprisoned in county jails, held indefinitely. Where is the outrage? DJ: People across racial, ethnic, and citizenship lines should recognize the inhumanity of detaining human beings because of their immigration status. Dr. King once said, “Injustice anywhere is a threat to justice everywhere.” So, the targeting of She’yaa is an attack on us all. Black immigrant women like Maryan Abdi continue to languish in detention. Her erasure and invisibility is an unconscionable act of violence by the state. Maryan was 13 when she and her family were resettled as refugees in Utah from Somalia. As a young woman, she had a public nuisance charge that resulted in her imprisonment. Years later, she was captured by ICE and has been in detention for the past year. Her son died while she was in detention, and her mother was recently diagnosed with a terminal illness. Rewire.News: In a lot of these cases, advocates will say ICE is acting in retaliation. And as Jonathan mentioned, 21 Savage referenced the border wall and the Flint water crisis in a performance before his detainment. Do you think the young rapper’s detainment was retaliatory? JGV: Let’s remember who we are talking about. ICE is the same agency that is responsible for Roxsana Hernandez’ death. ICE is the same agency that has retaliated against activists like Alejandra Pablos, Ravi Ragbir, and Jean Montrevil who have spoken out. It is in ICE’s character to retaliate against people for daring to speak out, and then the agency lies to justify it. DJ: The timing of She’yaa’s arrest and subsequent detention is definitely suspicious. In our work, we have seen ICE retaliating against immigrants in detention who have spoken up against the injustices they face. For instance, when families protest maltreatment of their loved ones, ICE moves them to remote detention prisons to cut off access from family and attorneys. Rewire.News: Do you think ICE will be more apt to release 21 Savage because he is a celebrity, or is this a situation where the agency might try to make an example of him? JGV: My understanding that we live and exist in a capitalistic society would tell me that because of his celebrity status and access to resources, he would be OK. But based on how his case is playing out so far—how ICE has been behaving and the fact that he was held without bond on a 23-hour lockdown—I honestly don’t know. Atlanta has one of the most hostile environments for immigrants, demonstrated by the conditions of their detention centers. Atlanta also has one of the lowest asylum approval rates in the country. This is why it’s so important that people sign the petition at Free21Savage.org and join in demanding his release. DJ: There’s no precedent for a case like this, at least not that I’m aware of. She’yaa may have the most high-profile case of an undocumented Black detainee. So, I can’t speculate about whether his celebrity makes his more or less apt to be released from detention. But we know that we must continue shining a spotlight on ICE to reduce the harm that they might cause. Rewire.News: Any last words, y’all? JGV: To 21 Savage and every other Black immigrant who is criminalized, targeted, and detained in this country, especially to those who are queer, trans, Muslim, and/or poor: We see you, we love you, and we are fighting for you.